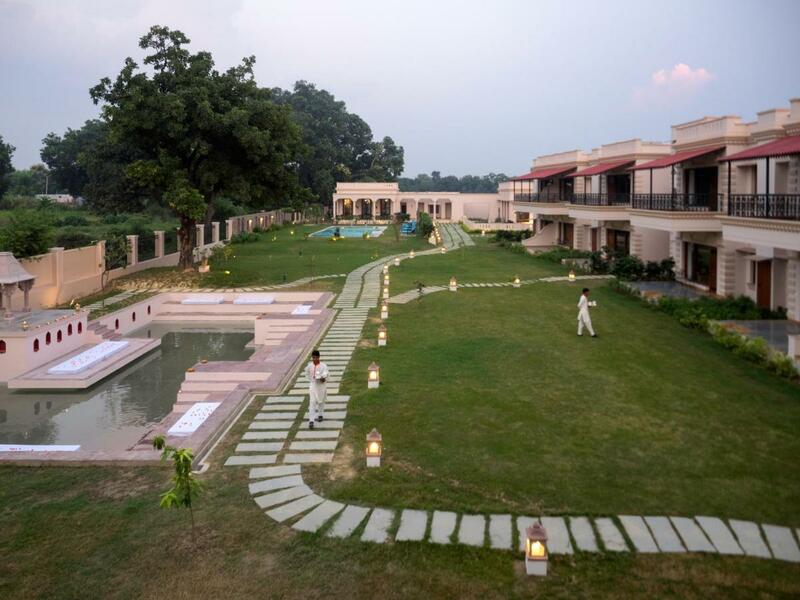 Offering a swimming pool and views of the garden, Tree of Life Resort & Spa, Varanasi is set in Varanasi in the Uttar Pradesh Region, 14 km from Godowlia. The resort has a sun terrace and spa centre, and guests can enjoy a meal at the restaurant. The rooms are fitted with a flat-screen TV with satellite channels. Certain rooms have a seating area to relax in after a busy day. You will find a kettle in the room. Every room comes with a private bathroom. For your comfort, you will find bathrobes and slippers. Tree of Life Resort & Spa, Varanasi features free WiFi . The resort also offers bike hire. Sarnath is 14 km from Tree of Life Resort & Spa, Varanasi, while Dasaswamedh Ghat is 17 km from the property. Lal Bahadur Shastri International Airport is 10 km away. Adults: INR 4500 + taxes per person. This suite has a tea/coffee maker, dining area and seating area. Book now Tree of Life Resort & Spa, Varanasi, Varanasi! Our offers guarantee the lowest price. Most of the presented accommodation offers a free cancellation. Book your hotel / accommodation in India , Asia for a short trip or longer vacation. All children are welcome. All children under 6 years are charged INR 1500 per person per night when using existing beds. There is no capacity for cots in the room. There is no capacity for extra beds in the room.